Adorable “cotton-tail” bunny is really a cosmetic puff dispenser! High-quality resin design adds cuteness to a countertop while keeping beauty supplies within reach. Perfect for any master or guest bathroom! 7"L x 3”W x 4 3/4"H with 2 1/4”dia. x 2”D area for cotton balls. 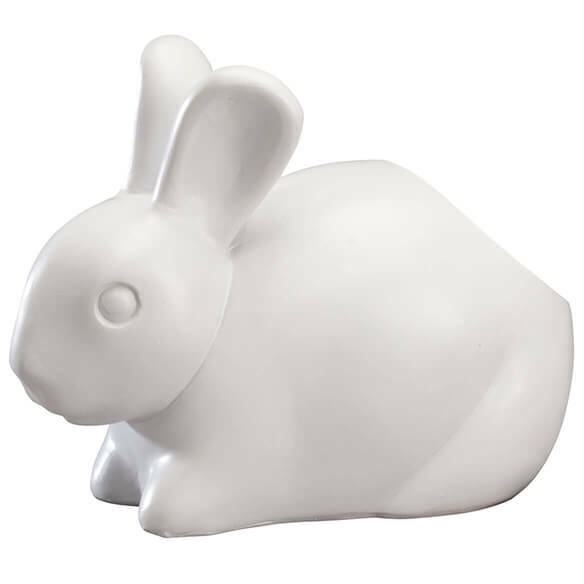 Our exclusive bunny dispenser is 100% resin for lasting durability. It's cute and my cotton balls needed a home. 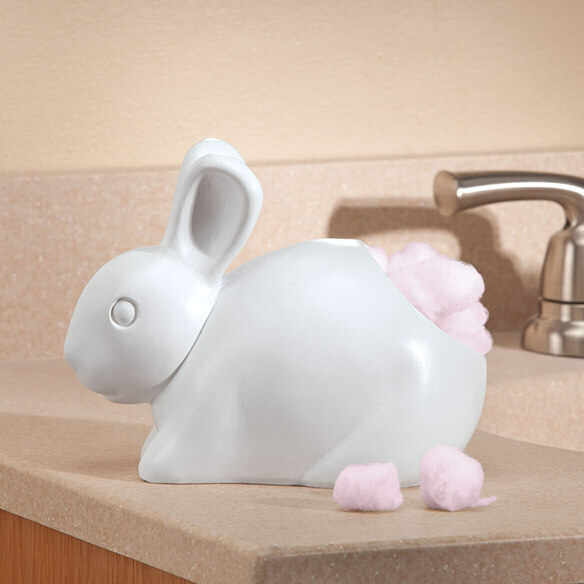 I needed a cotton ball dispenser; my grandchildren have bunny rabbits as pets and I know they too will think it's cute.